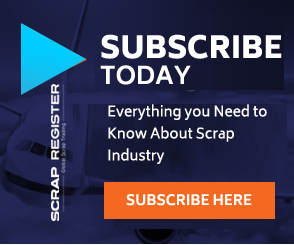 NEW YORK (Scrap Register): Gold again is back over $1,200 an ounce as bargain hunting set in and the U.S. dollar eases, said George Gero, managing director with RBC Wealth Management. The metal got a boost from weak equities Wednesday. However, an easier U.S. dollar has also helped gold, Gero added. He noted that rate hikes by the Federal Open Market Committee have provided headwinds for gold for some time now, while rises in Treasury yields competed for safe-haven flows. However, recent low prices for gold attracted bargain hunters as open interest increased this week, Gero noted.